The world’s biggest halal trade show MIHAS 2019 will be opening soon in Kuala Lumpur on 3-6 April 2019, hosted by the Ministry of International Trade and Industry (MITI), Malaysia and organised by the Malaysia External Trade Development Corporation (MATRADE). 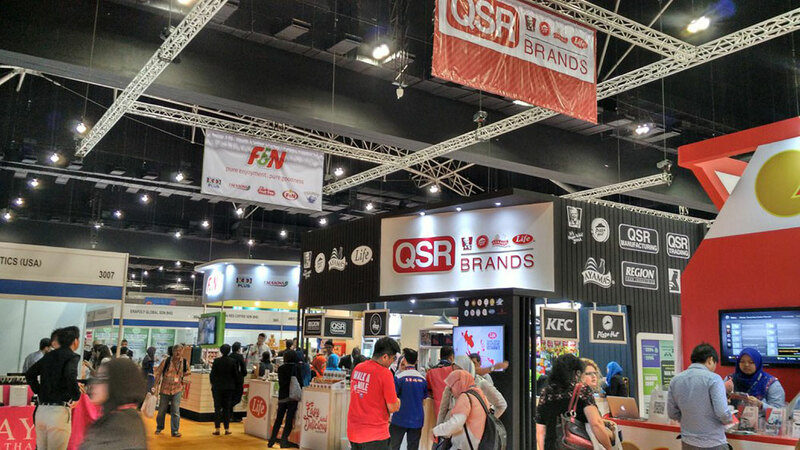 The first MIHAS started with 330 companies from 19 countries as well as 17,000 audiences from 42 countries and won recognition from Malaysia and beyond. In 2018, the show boasted 778 companies from 32 countries and 21,000 buyers from 72 countries, entertaining over 350,000 participants. The total trade volume generated was estimated to be MYR 1.28bn, or roughly USD 4.4bn. This year, approximately 1,000 companies are expected to attend the show from 40 countries. Originally most of the booths were filled with only food and drinks. Now MIHAS proudly presents a diverse range of latest halal products and services, from pharmaceuticals, cosmetics, finance, tourism, e-commerce, and logistics. The show is also designed to offer a wide range and depth of needs by participating companies and used for networking and finding potential needs beyond their current contacts. MIHAS is now recognized as the biggest platform in the halal industry where people gather to find out consumer behaviors, industry/country information, latest innovation and finance. The Japan pavilion this year, hosted by the Kuala Lumpur office of the Japan External Trade Organization (JETRO), will present 5 companies and organizations, and the halal Iga beef from Mie Prefecture will make the first debut, while more Japanese companies are expected to appear on other parts of the exhibition as well. According to the Japan National Tourism Organization (JNTO), the number of inbound tourists has been increasing every year, reaching 31.1 million in 2018, the highest record for Japan despite natural disasters that hit the country in the same year. Tourists from Indonesia and Malaysia, two Islamic countries, are showing a clear sign of an increase, and the JNTO announced its intention to promote tourism in all directions in 2019. These recent changes in Japan are creating an environment for the need to raise awareness on halal. Japan will be hosting the Tokyo Olympic/Paralympic Games in 2020 and the Osaka Expo in 2025, which will further generate the interests from individual and group travelers toward Japan overall beyond the so-called golden route between Tokyo and Kansai regions. Against this backdrop, the Japanese Ministry of Economy and Trade, Industry and the Malaysian Ministry of Entrepreneur Development signed a Memorandum of Cooperation on Halal Certification agreed to promote the trade and investment for halal products and services. To address the pressing demands for the 2020 Tokyo Olympic/Paralympic Games, the two countries signed an agreement to cooperate on the people-to-people exchange, technical assistance, and support in trade and investments. MIHAS also pointed out the Malaysia’s indirect role for Tokyo 2020 Olympics as its mission since 2017, and expressed its willingness to cooperate in the initiative. As the upcoming Olympics/Paralympics draw attention from the world, MIHAS this year has exceptional significance for Japan.